At the centre of Windhorse is the Culture --- "how it feels"
• Creative collaboration is more effective in changing the world than is skillful competition. • A sustainable economic model is essential. • Collaboration is necessary for economic health. The Path is how we can personally experience the Windhorse culture, while building our own capacity to live a rich and meaningful life. Listen with inquisitiveness and appreciation. Hold an unwavering commitment to values and purpose. Trust ourselves and each other. Be artful in arranging the pieces. The endless "Windhorse Way" includes listening, learning, practicing, hosting, teaching, mentoring and simply being. This path includes training in the four aspects of Windhorse outlined here. Although it could be expressed in a linear way, it is even beyond circular in that it is fully interdependent and intertwined like the forest itself. The path is dynamic, always surprising, and impossible to pin down. ​learning and practicing >>> caring for yourself >>> allowing others to care for you >>> hosting and teaching >>> leading and mentoring >>> caring for others >>> connecting with the earth >>> simply being in a caring world >>> caring more deeply for yourself >>> and so on and on, spiraling deeper into connecting, caring and engaging in ways that yield benefit. There are many opportunities to participate in the "Windhorse Way". Events, courses and retreats are listed here. You can contact the host/teachers to learn more about their offerings, both the content and the scheduled dates. 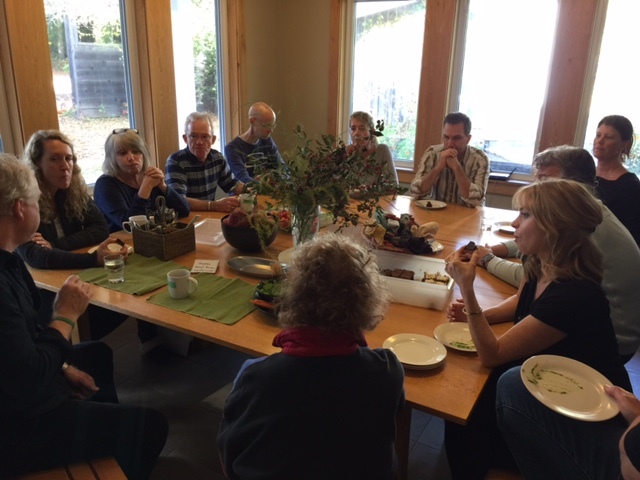 If you have a course, program or retreat you would like to offer at Windhorse please talk to us about the possibilities (info@windhorsefarm.org).